HONDA 7000 Watt Super quiet, stable power inverter generator. Perfect for Home, RV's, Job sites or outdoor special events. Use with Mini Portable Power Center to get max power from 8 gfi protected receptacles. 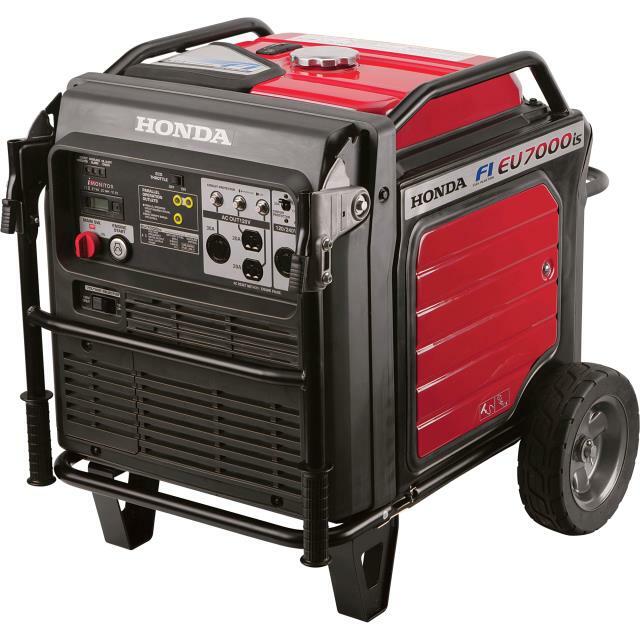 * Please call us for any questions on our generator eu7000is honda rentals in Portland OR, Gresham OR, Milwaukee OR, and surrounding metro area.